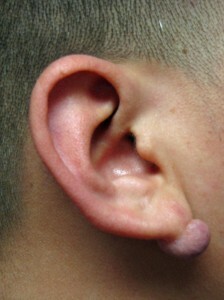 Keloids of the earlobes are not only deforming and unsightly (see Keloids of the Earlobe and Ear ) but they also can be uncomfortable and obtrusive. Added to this potpourri of issues is that for some people, they can be somewhat difficult and challenging to permanently get rid of. 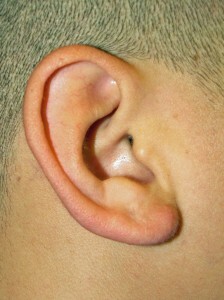 I have seen countless patients in consultation with recurrent keloids of the earlobe. In most of these cases, they have either had incomplete treatment or were not monitored for an appropriate period of time following their surgical removal (for any of a variety of reasons). Often, they present with a keloids that is far larger than the initial one that they sought treatment for. For most patients, my recommendation is for surgical removal of the keloid and reconstruction of the resultant defect along with concurrent injection of a steroid medication that helps to reduce the risk of recurrence. Some physicians use radiation therapy treatment soon after the surgical removal as another way to lower the risk of regrowth. For a variety of reasons including my concerns about the use ionizing radiation and its potential negative effects, this is not my preference. It is extremely important to have follow-up monitoring for around one and a half years after surgery because it is during this period of time that there is the highest risk of recurrence of the keloid. If there is any evidence of regrowth, judicious usage of steroid injections is nearly always an effective treatment. Unfortunately, when there is regrowth of the keloid that is not seen in its earliest stages by the treating plastic surgeon and it is also ignored by the patient, the outcome can ultimately be a much larger, more complex and deforming growth than had been present initially. The following patient is a 23 year old Hispanic male who previously had a surgical excision of a keloid of his right earlobe elsewhere along with one injection of steroid medication but there was no long term follow-up. He presented to me with a recurrence of the keloid that was now larger than the initial one (Fig. 1). I surgically removed the keloids, reconstructed his earlobe and injected it immediately with steroid medication. He was monitored closely after surgery and fortunately, there has been no recurrence (Fig. 2). Needless to say, he is quite happy with his results. For more information on keloids and their treatment or for any plastic surgery procedure that I perform or to schedule a consultation with me, please call my office at 480-451-3000.